Activists from the civilian enforcement organisation The Black Fish presented a groundbreaking new report today at the global UN Crime Congress in Doha, Qatar, on organized crime in the global fishing industry. 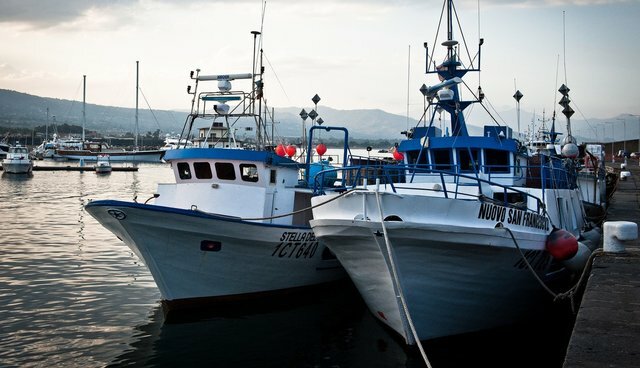 The report, which was produced in partnership with the Global Initiative Against Transnational Organized Crime, presents strong evidence that many types of illegal fishing, previously considered only a regulatory issue, in reality constitute a dangerous form of transnational organized crime. Many fishing operations are found to be connected with drug smuggling, human trafficking, slave labour and even murder. "Rather than fishers accidentally violating some regulations, we see systematic and highly coordinated efforts around the globe to violate fishing laws and regulations, putting the stability of marine ecosystems in serious jeopardy. Illegal fishing has become the new, lucrative type of transnational organized crime." The report, which can be downloaded here makes for a harrowing read. Covering stories from across the globe, it detailes case studies on poaching, slavery, corruption, bribery, tax evation, fraud, money laundering, human trafficking and murder of those who dare to oppose the criminal acts. The story of the forced labour of young children on board fishing vessels who, when exhausted from the work are thrown overboard, is a stark example of the hidden truths behind our seafood. Thanks to the tireless efforts of brave investigative journalists and investigators over recent years, some shocking discoveries were made, although have now remained unopposed for far too long. Fisheries are opportunistically used to facilitate criminal operations have reached a truly transnational scale and a shattering effect on the lives of thousands. Add to this the benefits that technological advances of recent decades have brought to fishing operators and it is clear that many offenders stop at nothing to illegally destroy our common ocean, for a quick profit.